Rookies Roost is a column started by PPOA in 1973 to chronicle the lives of some of the most interesting people we know: our retired members. 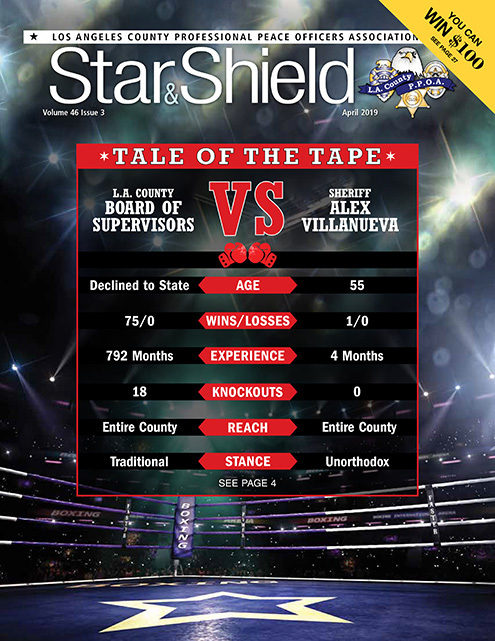 You can email the author at gtorres@ppoa.com. They say the greatest moment in golf history occurred in 1986 when Jack Nicklaus defied odds to win the last of his record 18 majors at age 46. Well, they clearly have not met retired PPOA member Alan Jarvis! Legend has it Alan was playing in the Temple Station charity tournament late last year when he nailed the shot heard ’round the eastern San Gabriel Valley! While approaching the third hole at Via Verde Country Club in the golf hotbed of San Dimas, California, Alan gazed at the pristine waters of Lake Puddingstone to his east before striking the ball with authority. After whistling 171 yards through the sky, the ball clanked into the cup for a hole-in-one. 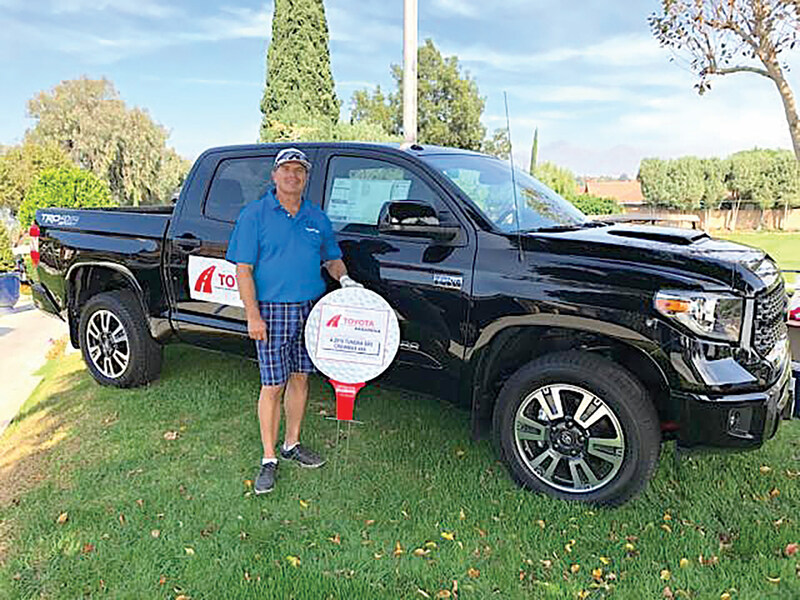 Not only did that stroke of luck (pun intended) firmly ensconce Alan into the record books for retired DA’s Office captains who live in La Verne, it also came with an impressive hole-in-one prize: a 2018 Toyota Tundra CrewMax 4×4 from the tournament sponsor, Pasadena Toyota! Jokes about luck aside, I want to congratulate Alan for that amazing shot. Some of you may be aware that he is not the first Jarvis to enjoy a day at the country club. Nor will he be the last. Alan’s father is none other than the late great former PPOA President Camie Jarvis—who likely played more rounds of golf than most of us combined. And these days, Alan confesses that his son is easily the best golfer in the family. In fact, while Camie was still with us, all three generations of the Jarvis family made it a point to participate in PPOA’s annual memorial tournament. Way to go, Alan! We look forward to seeing the shiny, new Tundra CrewMax in the parking lot at our tournament this June. 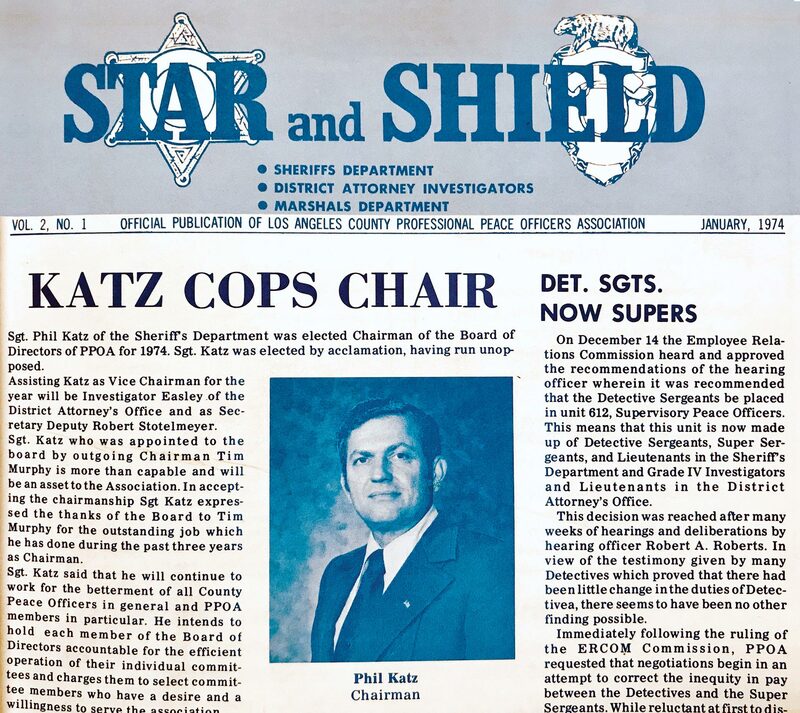 Last month, we received the somber news that retired Sergeant Phil Katz, former president of this association, passed away on October 17, 2018. 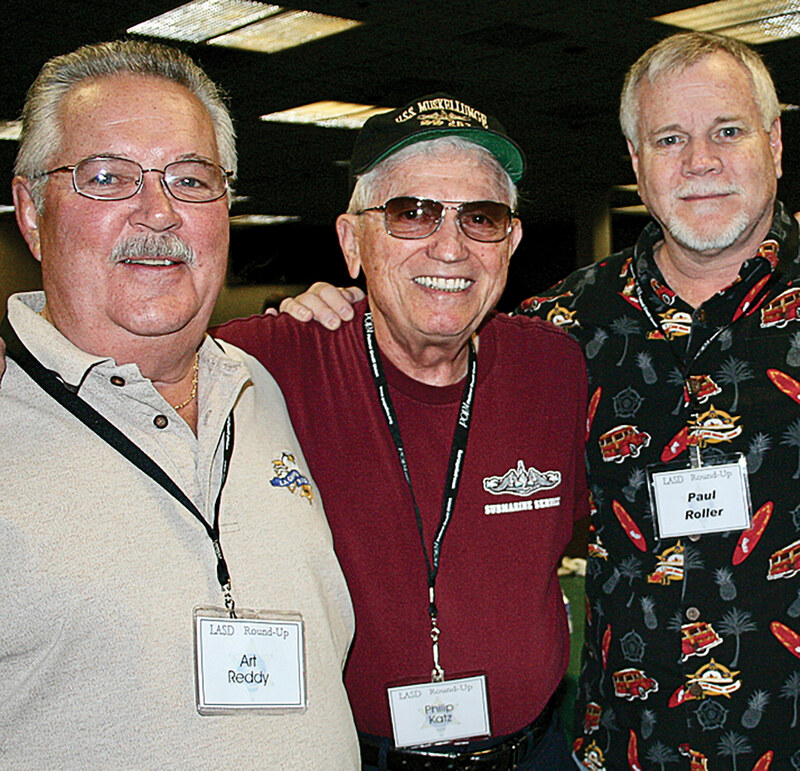 Although Phil’s tenure on the Board took place some 45 years ago (well before I started at PPOA in ’94), I had the pleasure of crossing paths with him at a few events, including a gathering of former PPOA presidents (see photo) and more than once at the annual Retiree Roundup in Laughlin. It was at the latter that Phil sat down with PPOA reps and recalled helping this union get out of the blocks in 1951. He said each of the original members agreed to invest $100 of their own money to kick-start the association—the equivalent of about $1,000 in today’s dollars! Now that’s commitment. Phil recounted the story of attacking a Japanese convoy when his submarine made a hasty exit after the crew realized their torpedoes were malfunctioning. Fortunately, casualties on board were low. He was eventually on submarine patrol near Alaska when the war ended. “Our sub as well as vessels from other countries involved in the war sailed into Tokyo Bay to celebrate the victory,” he said. Phil was hired by the Sheriff’s Department in 1947 and was particularly proud of “walking a beat on Florence Avenue” during his 29-year career. Phil served as a PPOA Board member in 1973, was elected chairman of the Board in 1974 and retired as a sergeant in 1976. Rest in peace, Phil. We are grateful for your service to the nation, to the Sheriff’s Department and to this association!